With elections approaching in July, Cambodia’s National Election Committee has published a set of plans intended to monitor and control online news . A new inter-ministry working group, formed to investigate media outlets deemed to be spreading “fake news”, has put forth a new regulation that bans journalists from including “personal opinion or prejudice” in their reporting, publishing news that “affects political and social stability”, conducting interviews at polling stations or broadcasting news that could sow “confusion and loss of confidence” in the election. Violations are punishable by fines of up to USD $7,355. The Ministry of Information will be empowered to censor websites and social media pages found in violation of the regulation. Internet service providers will be required to install software that enables the Ministry of Posts and Telecommunications to “easily filter or block any websites, accounts or social media pages that are deemed illegal”. These measures follow the demise of the country's only two independent newspapers — The Phnom Pehn Post and The Cambodia Daily. After receiving crippling tax bills, the Daily ceased  its operations in September 2017, while the Post's owner sold the newspaper. The publication now belongs  to Sivakumar S Ganapathy, who is the managing director of a Malaysia-based ASIA PR company that has worked on behalf of Cambodia’s ruling party and Prime Minister Hun Sen. 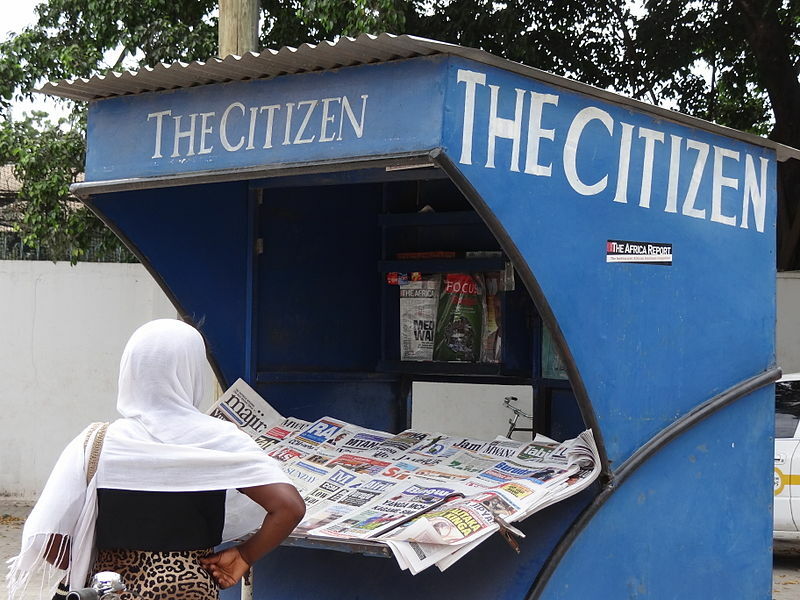 Meanwhile in Tanzania, a much-maligned “blogger tax” goes into effect on June 15, and will require bloggers and independent website owners to register and pay roughly $900 USD per year to publish online. Multiple major independent news sites have preemptively closed up shop , saying that the costs are high — both financially and legally. The extremely popular Jamii Forums — which has been dubbed  both the “Tanzanian Reddit” and “Swahili Wikileaks” — has shut itself down  last week on grounds that the law creates insurmountable regulatory barriers for sites like Jamii. In December 2016, Tanzanian police arrested  Maxence Melo, co-founder, and director of Jamii Forums, for refusing to disclose information on its members, a demand made under the Cybercrimes Act . Reporters Without Borders has called on the government  to scrap the new regulation. Bangladeshi secular writer Shahzahan Bachchu was shot and killed  near his home town of Munshiganj. Bachchu was known as an outspoken activist for secularism, and printed poetry and books on humanism and free thought. He was reportedly dragged out of a pharmacy and gunned down  by men on motorcycles. Bachchu’s death follows a series of attacks  on humanists and freethinkers in Bangladesh, including the murders of writers and digital advocates Avijit Roy, Washiqur Rahman, Ananto Bijoy Das and Niloy Neel, among others. In the past, government officials including the prime minister Sheikh Hasina have blamed the attacks on atheists for criticizing religion. Algerian blogger Merzoug Touati was sentenced to ten years  in prison in late May for reporting online about austerity strikes, job protests, and human rights violations. Touati, who has been in jail since January 2017, was convicted of providing “intelligence to agents of a foreign power likely to harm Algeria’s military or diplomatic position or essential economic interests” after posting an interview with an Israeli official online. Touati is expected to appeal the sentence. A man from Kerala, India was arrested by police  after writing a Facebook post about a damaged road, calling on a local politician to repair it. The politician alleged that the post was “defamatory” and that insulted her gender and religion. She filed a complaint with police who subsequently made the arrest. The man was released on bail shortly afterward. Russian reporter Alexandra Terikova was forced to resign  for posting an Instagram video of kindergarten students singing a song for Russian President Vladimir Putin and then giving an interview about the video to an independent channel. The video was posted alongside a sarcastic hashtag and a message critical of the jingoistic tone of the song. An Iranian man is facing the death penalty  for posts made on his Telegram app channel, where he allowed users to freely post their opinions. Hamidreza Amini will go to trial on June 25 on charges of “insulting the prophet”, “insulting the supreme leader”, “acting against national security”, “propaganda against the state” and “disturbing public opinion”. Amini was held in solitary confinement and interrogated without access to legal counsel after his arrest. He went on hunger strike on June 3 to protest his conditions and was hospitalized but then transferred back to prison before receiving adequate treatment, according to the Center for Human Rights in Iran. The Iranian Judiciary issued an order  on April 30 to block Telegram  on national security grounds. Since then, a parody song  about the filtering of Telegram by the Iranian musical group DasandazBand has gone viral on social media, poking fun at government attempts to get Iranians to adopt the state-owned messaging platform Soroush platform. Two Venezuelan news outlets that have managed report on the country’s ongoing political and economic crises for the past four years were knocked offline  on major state-affiliated internet service provider networks during the first week of June. Anecdotal evidence and technical testing confirmed that both La Patilla and El Nacional were inaccessible on CANTV, the country’s largest telecommunications provider, which is controlled by state authorities. The block followed a court-issued fine of one billion Venezuelan Bolivares (about USD $10,000) against El Nacional, on claims by the state that the newspaper had inflicted “moral damages” on United Socialist Party of Venezuela (PSUV) Vice President Diosdado Cabello, when he served as president of the National Assembly. Ahead of elections in Pakistan on July 25, the website of a political party named Awami Workers Party was blocked on multiple ISPs in Pakistan  for at least three days. Despite writing to election commission and Pakistan Telecommunication Authority (which is responsible for the blocking), party officials have been given no explanation for the block. On June 7, Brazil’s Superior Electoral Court (TSE) ordered  Facebook to take down “untruthful information about [presidential] candidate Marina Silva” within 48 hours of the ruling. This was the first time that an injunction has been issued based on a 2017 resolution intended to regulate the spread of disinformation during the 2018 elections. The court ruled in favor of the presidential candidate and her political party Rede, which challenged five links posted in 2017 by the right wing page “Partido Anti-PT” (the Anti-Worker's Party, in Portuguese) claiming Silva was being investigated by Operation Car Wash , a major money-laundering investigation involving more than 100 Brazilian oil executives and politicians. There have been no formal accusations of corruption against Silva. The page has more than 1.7 million followers. Will France get a “fake” news bill? The French parliament started  debating a government-proposed bill aimed at curbing the “manipulation of information” in the three-month period preceding an election. The law would allow candidates to complain about the dissemination of false information about them online and judges will have 48 hours to decide on a case. During a parliamentary session discussing the bill on 7 June, leftwing and rightwing MPs from the opposition slammed  the bill. Afef Abrougui , Ellery Roberts Biddle , Marianne Diaz , Nwachukwu Egbunike , Rohith Jyothish , Mong Palatino , Inji Pennu , Talal Raza , Taisa Sganzerla  and Sarah Myers West  contributed to this report.